This photograph was found with another that refers to Y.H.S., '98. That photograph was of George Stewart York, who graduated from Yarmouth High School at Yarmouth, Maine, in 1898. The man above, however, looks older than a high school graduate. 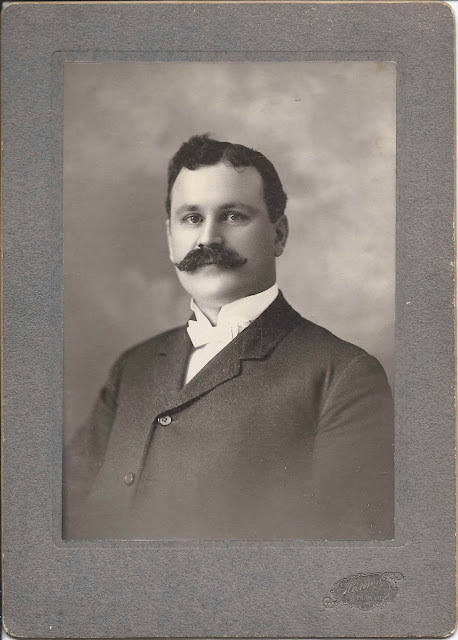 Either the information was written at some point after he had graduated and obtained his professorship, or he was an educator, rather than a graduating senior, at Yarmouth High School in 1898. If you have information on the identity of the Prof. Herbert Moore in the photograph above, please leave a comment or contact me directly. 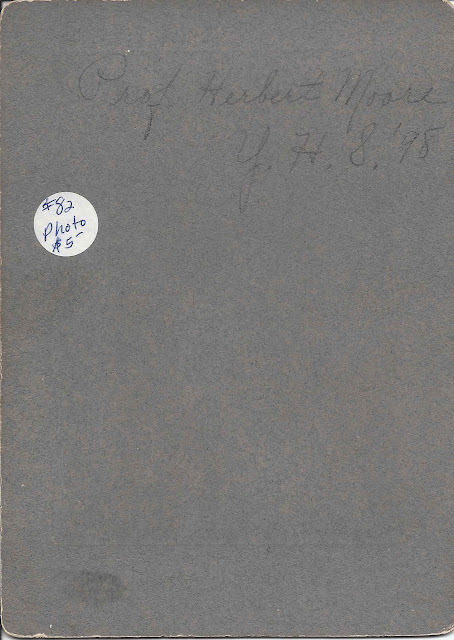 Herbert M Moore is listed as a teacher in the 1900 census. He was born in 1861 in Maine and was 39 in 1900. It says his father was born in NH and his mother was born in Maine. His wife is listed as Mary E., born in 1868 in Canada as were her parents. They were originally from England. They are easy to find in several censuses. Thanks for this information. So he was most likely the principal when George Stewart York graduated, and his photograph made available for sharing just as all of the graduates' photos were, which is likely how I found them together.